Health has deteriorated as a result of drinking. If your loved one has suffered health problems associated with alcohol consumption and yet he or she continues to drink there is a need for help. 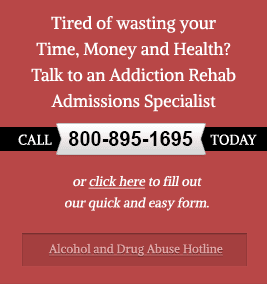 Continued health problem are a sign that alcohol addiction treatment is necessary in order to prevent further complications or potential death from occurring. Family relationships have deteriorated as a result of drinking. If your loved one has lost a significant other, spouse or the relationship that he or she has with their children as a result of their drinking then it’s time to seek help. Relationships suffer greatly from alcohol abuse and sometimes, the only hope for fixing relationships that have been bruised by alcoholism is to get treatment. Work or school performance has lacked as a result of drinking. If your loved one has lost a job, missed work or been suspended from school as a result of his or her drinking and yet he or she continues to drink, there is a definitive need for help. Alcohol can lead to poorly managed assignments, trouble at work or school and other consequences for the addict. Treatment can help. Your loved one has tried to quit drinking, has promised that he or she won’t drink but continues to drink anyway. If your loved one has promised you or other loved one, or him or herself that they will quit drinking and then continues to drink there is a true need for treatment. Sometimes, despite a desire to quit, those who are addicted to alcohol cannot quit on their own and will require help.